In life, there are good surprises, and nasty ones. While it is a given that a Sociopath in your life, for any period of time, will cause your life damage, really this could be avoided. Sociopathy shouldn’t be kept for Psychology classes. The truth is that even when I studied Psychology in College, I do not recall covering Psychopathy or Sociopathy in any depth, or if we did, the topic was brief and I don’t recall it. We spent more time, studying other peoples theories, like Freud or Maslow, and theories, like Humanistic, Psychoanalytic that I wouldn’t have known that the condition is as widespread as it is, until I began to research and later, writing this website with thousands of people visiting daily and their stories too. If it hadn’t happened to me, I would likely still be under the illusion that it was a rare condition and that I had more chance of winning the lottery than I did of meeting one in real life. In my work with homeless people, we did sometimes have someone come in, where the medical conditions box on their risk assessment paper said ‘Psychopath’ or ‘Sociopath’. It is with humour now that I look back, to how we responded to this as a team. Immediately we would decide that this person would be dangerous sharing a kitchen, as there are sharp knives, and someone could be harmed. ‘Not suitable for shared accommodation’ was marked on the sheet at the weekly nominations meeting. I guess this could be true. But in reality there was a greater risk of their being charming, lying, and playing mind games, theft of random things (that would lead to a lot of investigative work, and never any conclusion) telling wild elaborate stories (that I didn’t know were wild stories, until much later), setting people up, playing people off against each other and never paying rent. I did however, realise that they were the most likely to come to the office, to report someone else’s wrong doing. Deflection was a trait that was obvious. They seemed, well, just almost so very normal. Particularly the ones who were diagnosed Psychopaths. They loved to try to cross boundaries, which would make me feel uncomfortable, I didn’t realise back then, that this was exactly what they were looking for, an ’emotional reaction’. On the whole, you could say that even though it was spelt out, in black and white before me, that I did not have a clue, until it happened to me. You see, Sociopaths and particularly Psychopaths, are very good at their game. Clever, articulate, manipulative and deceptive. Unless you knew otherwise, they were just so ‘very nice’. Even if you had suspicions, you could never pin them down for blame. Always there was an excuse, or an answer, that sounded ‘plausible’. Considering (although rare)that your life could be ended, by a human being that has no conscience, or your world turned upside down, you might marry one, end up in an abusive relationship, or have a child with one, and face the hell of courts. Alternatively you might end up financially and socially ruined, with your life destroyed, you could even end up in jail. Shouldn’t people as young as high school age be warned that there are people like this out there in society? Do we not have a duty of care, to warn people, before they set off on their life adventures? Surely forewarned, is forearmed? He was a lovely young man, kept himself to himself, always polite, never any trouble, we never knew, we are very shocked! I am sure you have. I know I have. I knew more that the typical Psychopath was quiet and a nice neighbour, than anything else. Or at least I did, until it happened to me. For me personally, learning this subject in school would have been more useful than learning about crop rotation in the 19th Century. I always thought when in school, how would this information ever be useful in my future life? I was right. Some people might think that this is just a joke, and that the Sociopath looking for attention, or playing a game. In some cases, it might very well be. I know that the one in my life, didn’t know what it was, at least he didn’t until 2012. He knew that he was different and he knew that he caused carnage. Obviously he knew that he lied. But he didn’t know that he was a Sociopath. Yet, his behaviour was so textbook, that I am surprised Wikipedia definition didn’t have his photo next to it, with him waving out from the page. Then there is the subject of other people. It is very difficult for the victim to explain what has happened to them without looking crazy themselves. It can be a lonely, isolating journey. Education could normalise these experiences. Society would be aware, that this is something that COULD happen. Not only that it could happen, but that it is not actually rare at all. It happens to a lot of people all over the world. It is only because people are shamed into not talking about it, that it remains hidden. What about children themselves, who are raised in families, where a parent is a Sociopath or Psychopath? What about their awareness, and indeed their protection? Wouldn’t it be right, and create a better future society, if these children understood that this behaviour, is not only not normal, more importantly what is happening, is not their fault? If more people were aware, it could help children to open up and talk about what is happening within the family home, which would help to safeguard children trapped within those families. It wouldn’t be possible to have a mass education programme, to explain to society how widespread, and destructive this is. But change could start by educating young people in schools. A sociopath or a psychopath, can destroy the victims life. In the worst of cases it could take someone’s life. If it doesn’t take someone’s life physically, they likely will destroy the victim, emotionally, socially, financially, psychologically. How much does this cost society? In terms of mental health, time off of work, destruction to family and friends. Not to say how it enables the abuser to continue with their behaviour. A victim shouldn’t feel ashamed for what has happened to them. Sociopathy is not a rare condition. Every single day at least 5,000 people visit this website alone. Some days more than this, visitors from more than 250 countries around the world. Considering that the whole world does not speak English, 1.5 million people from over 250 countries, in two years is a lot of people. This means that there are a lot of people, looking for information to educate, and understand. I am sure, that this is more people than would be the case, if I were writing about crop rotation in the 19th Century. Perhaps this is a wild fanciful dream. Education wouldn’t eradicate Psychopathy. It could however, go a long way towards reduction in Sociopathy. It could possibly avoid so many peoples lives ruined, people destroyed, and their lives taken off on pointless u turns for years of their life. If people were educated, things could start to change. People could be supported, and not feel isolated, or ashamed. It would be a subject that could be talked about with family and friends. If 1.5 million people have visited this site in two years, just for this website alone, this information is needed and people not only want, but are looking for it, often after their lives have been destroyed. Things could change, by making changes to educate. If they people were educated in the place where we should receive education (school), in the future, perhaps it would be a safer and less corrupt world. Maybe people would think about humanity more, and see certain world leaders who have these traits. Maybe, if the behaviour was more obvious to the whole of society, those people in direct power would never become in those positions in the first place. Maybe pointless wars, where millions of people are killed, would be avoided. 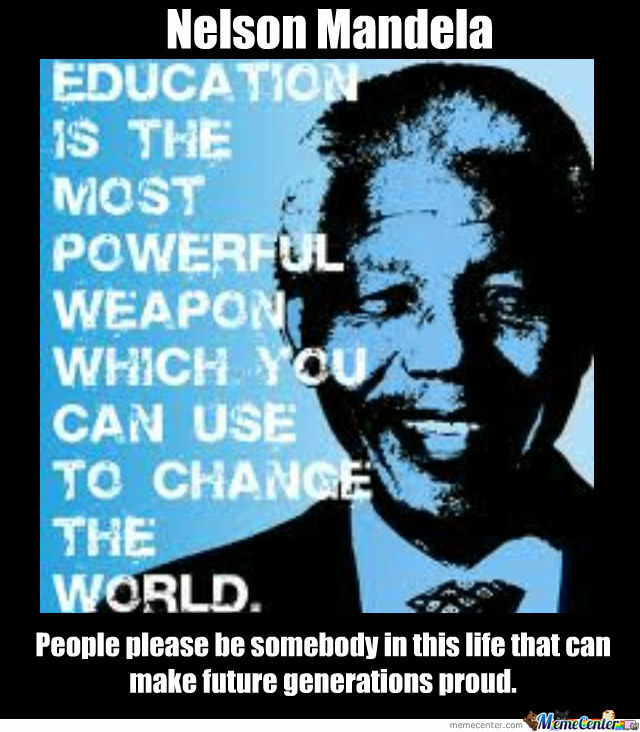 I am sure that education, would really create a better, and safer world. It would be slow to change things, but any change, no matter how slow is progress and a positive move forward. Speak up, and speak out about Sociopaths and Psychopaths. For me, I will keep dreaming, that maybe, just maybe it will one day be taught in schools, and victims will not have to feel such a shame about experiencing such treatment, without education, the topic remains exactly as Psycho’s and Sociopaths want it to remain ‘hidden‘, thus enabling them to continue with their behaviour, and ruining peoples lives. Be the change you want to see in this world. The rest will follow. This is so true. I truly believe that most politicians and many heads of companies and celebrities (Ben Affleck, I’m looking at you) are sociopaths. My ex, as I’ve described before, was my best friend growing up, altho I didn’t see much of him in high school. Not sure it would have made a difference b/c I was not educated about this in college, much less h.s. Anyway, by the time he re-entered my life in my late 40s he had so many tales to tell. Outrageous when I look back. I felt so SORRY for him. Ugh. I realize now he was testing me. Always testing me. I would jump over one bar only for him to set the bar higher. Constant turmoil. But 2 years on, and it’s getting better and I’m stronger and wiser. Thank you for this column. It’s been a lifesaver. “He was always testing me”, yes, exactly. They do. I am so glad you said this. I have long believed that young girls in school should be taught about predators, such as sociopaths or psychopaths. What you said about not knowing what a psychopath is , is so true. I thought they were all like Charles Manson. You would recognise them immediately. I did not know the smiling, lying , cheating , turd I met when I was seventeen was a psychopath. I am lucky to be alive. How many lives could be saved by speaking out, and educating young people. Thank you for the work you do , on this site. I wish it was around in the seventies. You probably were not even born then. Lol. It is still happening , and getting worse. So sad! I wonder is it getting worse? Or is communications improving? The sheer number of people accessing just this website, makes me think that it is getting worse. How far do we go in society before there is change? Life is easier for Sociopaths, so much easier today, than it was in say my grandparents time. So many reasons!! Thank you! It is getting worse, IMO, and for those very reasons you’ve listed. We also glorify successful sociopaths (money makers, celebrities, etc.) today in ways that were not seen in the past. They serve as role models for too many. I don’t know if one could be taught, what would you teach how to become one? Look at the evening news, it is defiantly advertised as well as glorified in the movies. I think the only way to learn is to live through it. I wanted to respond to “is it getting worse” I think more victims are seeking help. I think that is a great thing, the more hits the better to expose the path. “Change within the family structure”+”Ease of travel, to move on and start again”+ “Increase in ‘strangers’ living In communities” = we have no chance to know who we are dealing with! In traditional communities people knew e.g. that one family had a streak of “madness”, that others had often been involved in violent acts, etc. There was social control, which was negative (stigma, lack of freedom) but also comfortable and safe. Also, they knew how people were because their families would tell them, the elders. This is also something that we lack now: we get no emotional education, we aren’t given the tools to evalute attitudes and actions. We are alone, we have to understand the world starting from scrap every time. I just want everyone reading this site to know the information found here as saved my life. I’m just coming out of a brief marriage to a sociopath and without the knowledge I’ve gained I would have killed myself. I have been destroyed on every level, except I’m breathing and now rebuilding. Get the word out, there is hope and never give up. Aw thank you. Your words mean so much. You are so right. Information needs to be out there. There are too many things in life that are hidden and covered up and this can only be to the sociopaths advantage. I am right with you on that note. This has been the only place I feel comfortable. Most important, I am finding solutions. I take it day by day, I did it today, no contact. God bless all of you, I know what the hell a path can bring to ones’ life. I was a prisoner for far too long. So weird,they can all tell endless “stories” and go into great detail about each one,and ironically remember them,and virtually repeat them word perfect each time they tell it. Omg was I fed some whoppa’s in the 15 years I was with him!!!! I used to say I felt stupid believing them,but now I think,why should I? In a normal brain,it’s not stupid. Yes there should be more awareness about sociopathy,as many people haven’t even heard of one,until they have the misfortune to get into a relationship with one. Tell me lynne what are your best lies you were told. I have a post called sociopaths say most ridiculous things. Some of the comments on there really make me laugh. His lies are on that post. What were your pinnochios best lies? A true sign sociopathic behavior in early years is school bullying. yes! mine was a bully growing up! he is known for being a class clown and just being mean. Of course i think some thought it was funny and just dismissed his behavior. But, he loved the attention he was getting for doing stupid funny things on top of being a bully. The mans a joke a minute …. NOT. How did I find out his endless lies,well I contacted his 2nd wife,ironically we’re best friends now,and even more stranger,our lives were a mirror image with this moron. Lynne-how did you know to go looking into his stories? I am dealing with this situation with my best friend; her boyfriend tells her these types of stories. He had cancer, he owns a company, he’s a chef, he was a Stanford football player. None of it’s true but she believes it all. We’re on the verge of an intervention with her but we fear telling her; he plays the victim and know I’m not a huge fan of him so I am afraid she will choose him and sever our friendship. I just keep hoping she’ll catch him in a lie and it will unfold and be revealed to her. In answer to A FriendinNeed…. To be quite honest,a friend urged me to contact his 2nd wife. I did,and asked if she’d be prepared to answer some questions. That opened a can of worms!!!! Her and I are in regular contact now,and friends. Literally everything he’d told me about his life,was a lie,but something that has come out of it,is her life and mine with him,we’re like a mirror image. I’d urge your friend to contact anyone who knows her boyfriend well,or has lived with him long term. The only way,is to walk,and don’t look back, as it’ll never get better. I’ve read so much on sociopathic traits,I feel I could write a damn book myself!!! Tell your friend to seek help now,before it’s too late. I do get so much out of the words you choice for this site, I have tried different ones an I have yet found one that gave it to me straight to the point. No frills , down to earth and in a language I seem to understand. It could be, I am ready to remove myself from the chaos. Funny soul smoother, I refer to him as a soul snatcher. I can’t say how thankful I am for this site. I just know you know, what I know what I have gone through for ever it seems. when you use words like sociopath, psychopath and narcissitic, most people eye brows go upward, you know they think you are the nut. They are strong words only used when describing a murderer. This type might not kill you physically, ( only you wished he had). He kills your spirit if with him long enough. I feel as if I was in prison for, god, I think seventeen years. Each year the door was heavier to open, isolated from my own family. All he did was take an take an take, years. I would go without seeing him for as long as nine months. It was as if he always had one eye on me, as soon as I pulled my boot straps up. He would come through the door like a hurricane, toss my head and emotions in a tail spin. After he got what he was looking for (money) he would disappear. I don’t feel as if I am expressing how effective he is, when I say hurricane, it was literally like a tornado. Ha. straight to the point ‘no frills’ that is me!!! 🙂 You explain it very well. Yes that is how I felt too, like my spirit was killed. I felt dead inside. You are expressing it really well. I hear you!! Absolutely, girl. This is an excellent idea and one that I myself have advocated. Teaching the young about sociopathy should be part of a comprehensive mental health / emotional development education introduced at the high school level or even earlier. We teach our kids quite a lot of useless material, while this information is life-saving and life-changing — and unknown to most. Yes absolutely. As someone is at risk of meeting another after the first as they target vulnerable people, it could ruin a long period of someone’s life. For me it was three in a row over a 7 year period. Ooh, I’m so sorry. You were an easy mark for quite some time. Trite as it sounds, there must have been lessons there for you in those painful repetitions, for ‘nothing fully goes away until it teaches us what we need to learn,’ as a Buddhist saying goes. And those experiences have led you to writing this blog, which in turn helps so many people, so maybe there was a reason in that psychopathic madness, painful as it was. Yes I believe it was for a reason. Also Oddly my brain was frozen in shock. Emdr didnt work too much although it shifted a lot. (This happened through horrific events when my daughter died at birth and I thought I would die too and was trapped in the hospital) I met him 2 years later. He mirrored me so effectively it helped to pull me out of trauma. Very difficult to explain. When this blog started in 2013 at that time I had no concept of the outside world. And would have no emotional connection until end 2013. By 2014 it was overwhelming feelings etc. So I went back to him. By then full blown panic attacks daily by end 2014 I had to get away to recover me. It’s been some journey for sure. The thing is,they’re so good at their lies!!!! When you meet one,you are taken in… Think that’s human nature. Most of us throughout our life,meet genuine honest people,and why shouldn’t we believe what they say. Sociopaths target vulnerable sensitive people. With my ex,I learnt that he hated assertive opinionated women!!! With one friend,he instigated an argument with her,and I was told not to see her!!! I also noticed he was fine with all my friends,for a few months,then he’d start saying bad things about them,and why hadn’t I noticed it myself. The worst mistake,was moving to another country with him…. This I endured for a further 6 years,until I woke up to it,and walked away. A year down the line,and I’m a happier person,and I never as much want to set eyes on him ever again!!! I was in denial for so long, I just wanted to believe. It is now, that I feel so stupid. I lost everything. The most valuable thing was my time I had invested in the relationship. I had so many times ended it only to allow him back in my life. I feel like fool. I am so embarrassed, that I become so sick. I am having a really hard time accepting that he finally stole everything there was to steal. I get so mad I want restitution. I am up, I am defeated. I am a mess.. Thanks Postit, you are a sweetheart! My heart goes out to you all,and yes I also feel a real connection with everyone on here,because we all understand about these parasites. I was determined not to be put off from other men though. I’ve recently met someone,and I’ve told him everything,( whether that was good or not,I don’t know) but I felt the need to release it all. If I could have one wish,it would be to turn the clock back,and have the guts to have walked away the first time I met my ex… Sadly I can’t,and I bet most of us think that also. I’d be in favour of secondary-level education, though I hope that it would be for the benefit of everyone (including the class sociopath, for there is statistically likely to be one in most class of 30 or so kids) rather than simply a scare tactic like they use for drugs and STDs. That would mean teaching these young adults to treat each other with compassion and understanding, rather than terrifying the 29 into demonising the 1 and ganging up on the poor bugger. Perhaps if they It might put you lot off of hurting other people? For fun, and your own entertainment? What? I understand the sentiment, but how is that relevant to what I posted? Also, the first sentence appears to start twice, maybe you were drunk when you wrote it. Maybe I wasn’t particularly listening. You might learn something, rather than just working out how to respond cleverly to the next comment that lands on your blog. I think that you will find that Sociopaths are only co-operative if there is something In it for them. Their co-operation ends, as soon as there is no personal gain or benefit. Imagine being that hollow and empty inside ? I don’t envy you. Says the person who has no personal experience of being a sociopath. Would you presume to take ownership of a homosexual or a transgendered person’s mind? Or perhaps you’d like to tell me how a schizophrenic sees the world. Or maybe you have great insight of what it was like to be a Jewish person in the Holocaust, or perhaps one of the soldiers who were complicit in the murder of millions. Of course you wouldn’t. Their experiences are too far removed from your own. Only they can understand what it’s like to be themselves. I get it, you know your ex-boyfriend (or whatever he was) inside out. That’s fine. But you don’t know me. Only one person can tell me what I think and feel, and it ain’t you, sis. But we’re completely off-topic. I was merely hoping that these PSHE-style classes were going to provide help to all young people, rather than all of them. Do you agree that teaching an entire generation to fear and hate a certain group of people is bad? Because if you do, we’re on the same side. We just have some minor, cosmetic disagreements. That isn’t true. People quite often get diagnosis, and don’t know what is wrong with them, only that things keep going wrong, or that they are not the same as everybody else. There are a lot of Sociopaths who are not self aware. What isn’t true? That you presume to understand what’s going on inside my head? Or that you know your ex-whatever inside-out? Those were the only assertions I made. I didn’t say all sociopaths are self-aware. I was speaking entirely for myself when I said “Only one person can tell me what I think and feel, and it ain’t you, sis”. The classes could help sociopaths who are not self-aware become so, and that it a good thing. It’s great, actually! But that is not the only potential good to come of the whole scheme, if we put our minds to it. We could, if we wanted, use such an educational scheme to redefine the relationship between psycho/sociopaths and the rest of humanity. I am not trying to argue with you or get one over you, I am trying to discuss, with the whole community (unfortunately nobody else has joined in as of yet, but it’s a weird time of day) in the spirit of friendship, or, if you can’t bear to imagine such a thing, mutual benefit. Your self awareness only sharpens your tools to manipulate I have found. I think “mutual benefit” sadly doesn’t exist with a sociopath. Yeah, I understand why you say that, given your experience. But again, you can’t tell me you know my mind better than me. I don’t have to screw someone over to feel satisfied; if I can do something that benefits both me and you, I’ll do it. Because having you around is better for me in the long run. By the way, if you’re just responding out of courtesy, don’t feel you have to keep doing so. I know last time we were talking, I took things too far and just became an attention whore. It is ironic that I happened upon this today, as I feel like I have read everything out there already… The ironic part is that I woke up this morning with the idea of emailing my boys’ school, suggesting the need to incorporate this into the education. They attend a private all boys high school that is based heavily in morality. My email asked, respectfully, if narcissism (and sociopathy) has ever been considered as a serious topic at this age. Forgive my lack of political correctness, but having boys at this age is a prime opportunity to either identify a young SP or prevent one, if that is possible. I came upon this idea, while contemplating the divorce I am in the middle of from my NPD (SP?) husband of 22 years while thinking about how grateful I am for the positive role models my teen boys receive at school, since their father is a lousy one. That is when I spent an hour this morning editing an email to a morality teacher, who is extraordinarily committed, insightful and challenging. It will be interesting to see if the topic of teaching high school boys about sociopathy/narcissism has been discussed. This is a critical time in their development. My main intention is selfish: I hope my boys don’t become sociopaths themselves, since I did not recognize the abuse in our home until the last few years, and with that recognition I uncovered a lifetime of lies. Leading to a litany of emotions starting with tears, ending with anger and now my final state of detachment. My kids have watched me go through these stages, and watched me neglect their needs in the process. I am holding my breath in the hopes that this behavioral ‘disorder’ can be stopped with proper mentors, or counseling… My personal belief is that it is born out of environment. …and out of fear and concern for my kids future, I am divorcing my manipulative lying abusive SOB husband, finally, in the hopes to set an example for my kids. Wish me luck. If I get through this, which so far he has played right to the script, then I hope to have the drive to push the educational effort forward. Thank you for this article, I wholeheartedly agree. Thank you Caroline. I do think that it would help if this was taught in school, there needs to be further understanding of domestic abuse, including emotional and mental abuse, that is always part of the life with a sociopath. The trouble is that people find out the truth after the events have happened. By then, significant, catastrophic damage has been done. Sometimes events that cause damage that is irreparable. thank you for your words of support.